NB Commentary: I have done some research on this. The information about his death is being withheld by the Police department and detectives, but even that’s suspicious. I searched for articles that counter this report, but not even Snopes.com had an article on this. So check out this information and see if you can find anything on this. He worked for AFP so I doubt they would make that story up. AMERICAN FREE PRESS contacted the State College [Pa.] Police Department this morning for any news on the suicide of Victor Thorn, whose birth name was Scott Robert Makufka. AFP asked the policeman who answered the phone if the department could provide any updates. AFP asked if he knew when the release might happen. Please visit “2016 Police Media Releases” to access the most current releases. The releases “usually get picked up pretty quickly by Centre Daily Times, and statecollege.com, and some of the other media outlets,” he told AFP. 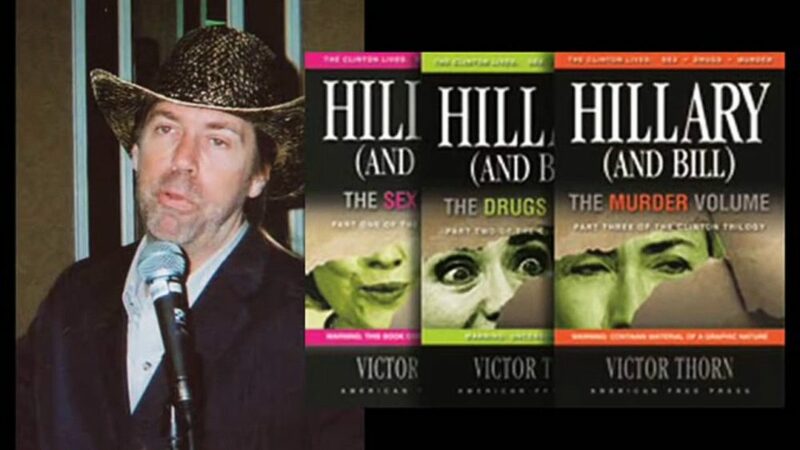 • AFP investigative reporter, prominent Clinton researcher, and prolific author Victor Thorn was found dead, the apparent victim of a self-inflicted gunshot wound. Besides writing for AFP, Thorn published the works of numerous writers in the alternative media such as Michael Collins Piper, Adam Gorightly, Mark Glenn, John Kaminski and Joan d’Arc, while also producing five CDs and DVDs, one of which is a five-disc collection that covers the John F. Kennedy assassination. Thorn also served as the editor of five anthologies, and his political articles have appeared in various newspapers around the country. After co-hosting “The Victor Thorn Show” on the Reality Radio Network from 2002-2003, in February 2004, Thorn co-founded WING TV (World Independent News Group), a daily Internet television and radio talk show viewed in over 100 countries worldwide. Thorn has been an avid political activist who spoke at the OKC Bombing 10th anniversary, as well as before the America First Party. He has also protested in six different states, not to mention at Ground Zero on several occasions and in front of the White House in Washington, D.C. Some supporters have voiced concerns that yet another prominent critic of the Clintons has turned up dead—this time just after Hillary Clinton secured the Democratic nomination. Family has countered that there was no evidence of foul play at the scene and that Thorn most likely took his own life. At this time, however, we are looking into all possibilities. The recent release of Crowning Clinton: Why Hillary Shouldn’t Be in the White House and the Hillary (And Bill) trilogy, which has been selling off the shelves at AFP recently—exposing all the dirty secrets the Clinton’s have tried so hard to conceal over the years—certainly provides a motive for murder. Thorn recently had some startling success with his research and writing. At the end of 2015, coauthors Roger Stone and Robert Morrow dedicated their book The Clintons’ War on Women to Victor, and in the early part of 2016, a prominent publisher in Poland purchased the rights to translate and sell Thorn’s Clinton trilogy. If, in fact, Thorn was taken out by the Clintons, we will, sadly, have to add Thorn’s name to the long list of Clinton victims to be found in Thorn’s own masterpiece, Hillary (And Bill): The Murder Volume.